Leopards are not only the prettiest of the African big cats, they're also among the most elusive and therefore difficult to photograph. This shot was taken in Sabi Sand, the best place in the world to photograph leopards. In the early morning we found this mother and her cub and we followed them for the rest of the day. 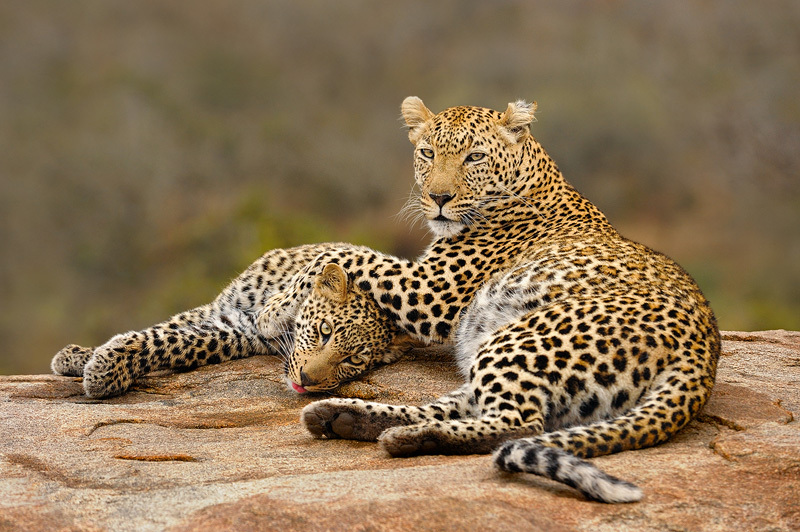 It was an unforgettable experience to witness a large variety of leopard behaviour for such an extensive time. In this shot mother and son just had a drink from a nearby little puddle and are relaxing on the relatively warm rocks (it was winter and a bit chilly at times).